This event is hosted by The Pride Center SDSU. 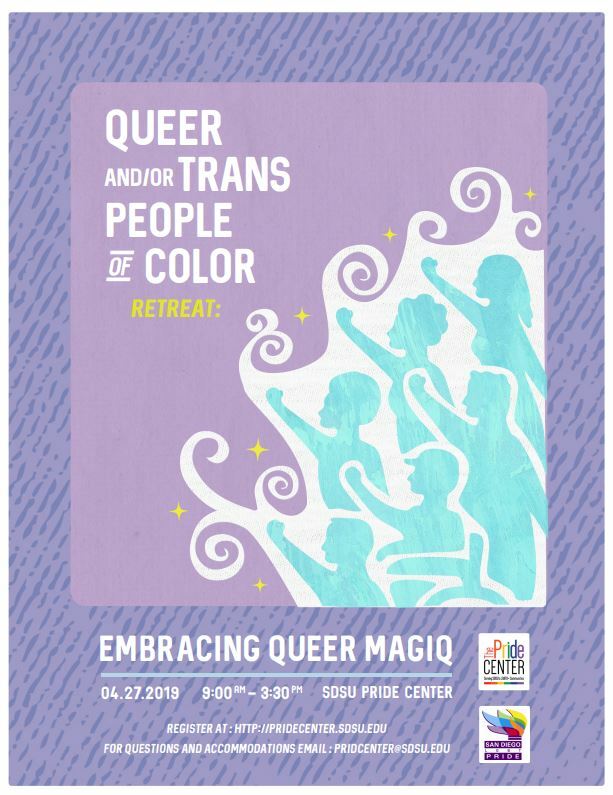 The QTPOC Retreat is an all-day event that centers the healing and liberation of Queer and Trans People of Color. We will offer workshops, speakers, and entertainment that is created by and for the QTPOC community! If you are interested in attending, please register using the google form below! And if you are interested in hosting a workshop please submit a workshop proposal using the link below!